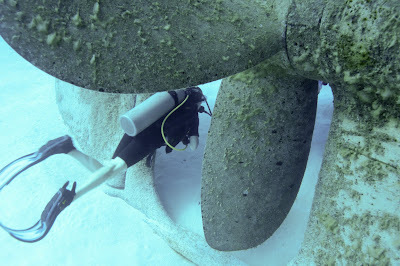 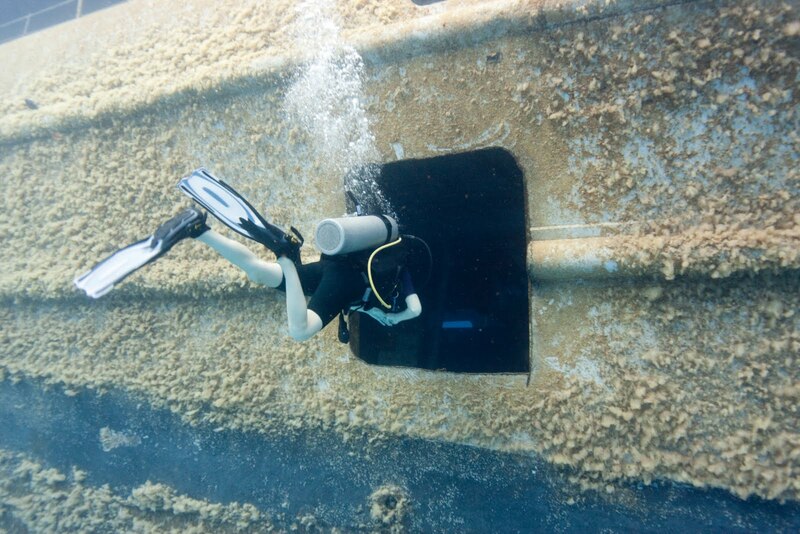 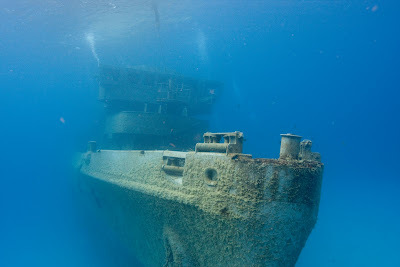 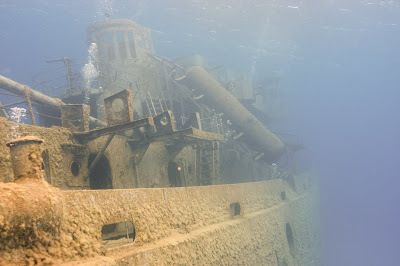 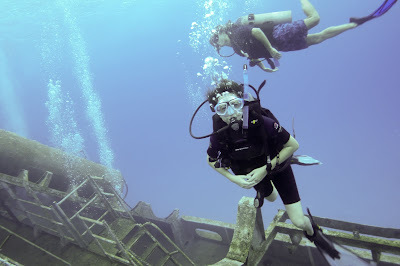 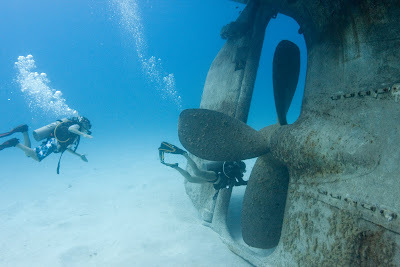 Our very first dive in Cayman was a wreck dive. 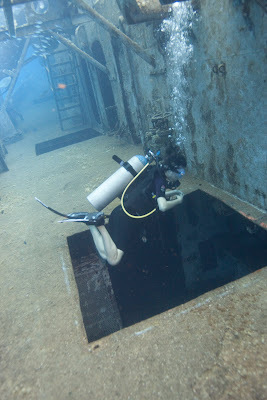 I was a bit nervous as I had never done a wreck dive before and the concept of an "overhead environment" was a little scary. 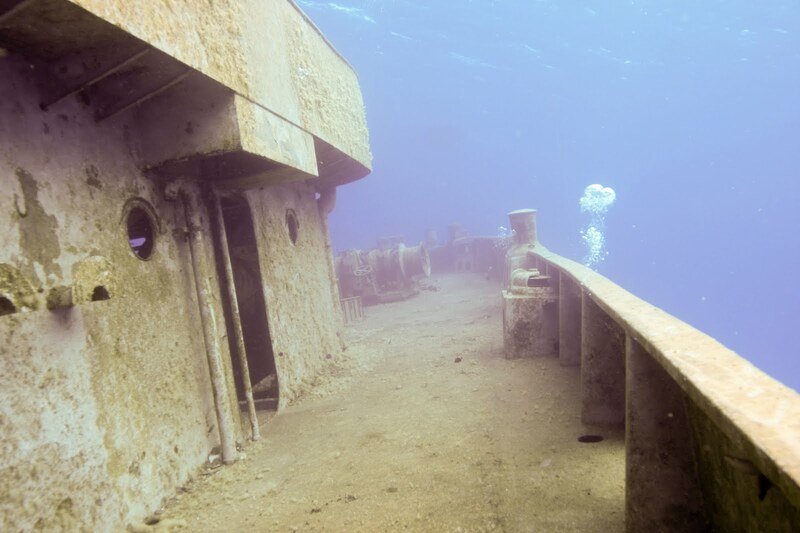 Dive Master Nick of Deep Blue Divers assured us that the wreck was the "Disney World" of wrecks and that I'd be just fine. 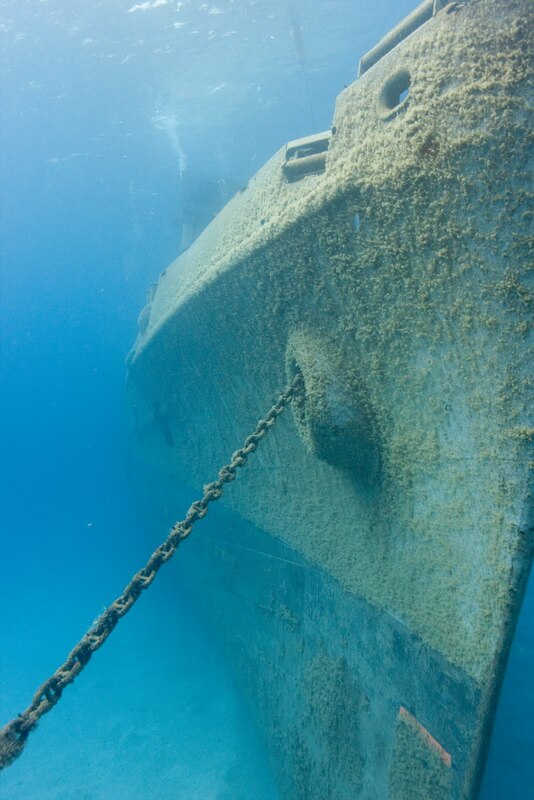 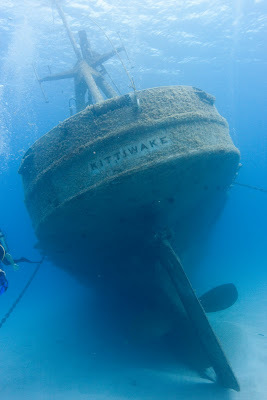 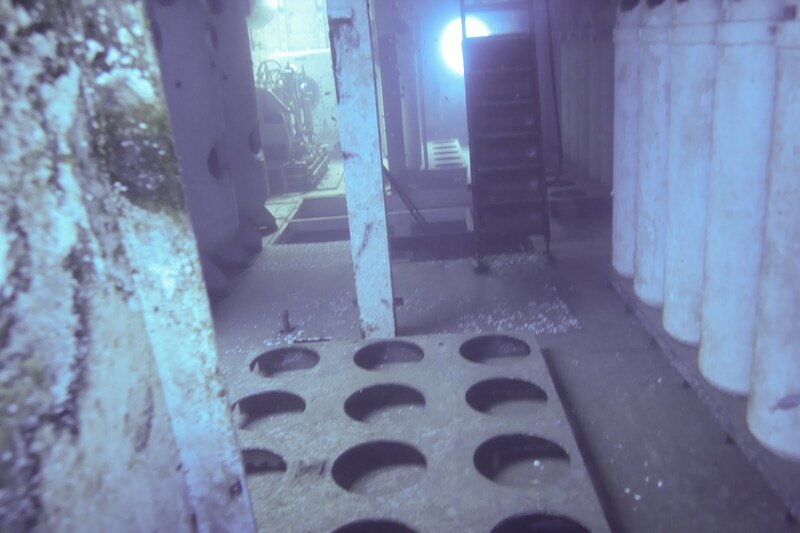 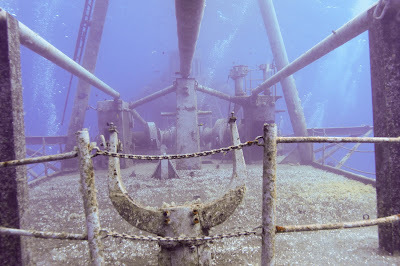 True to his word, the Kittiwake offered big open spaces to explore, and was the perfect first wreck for me. 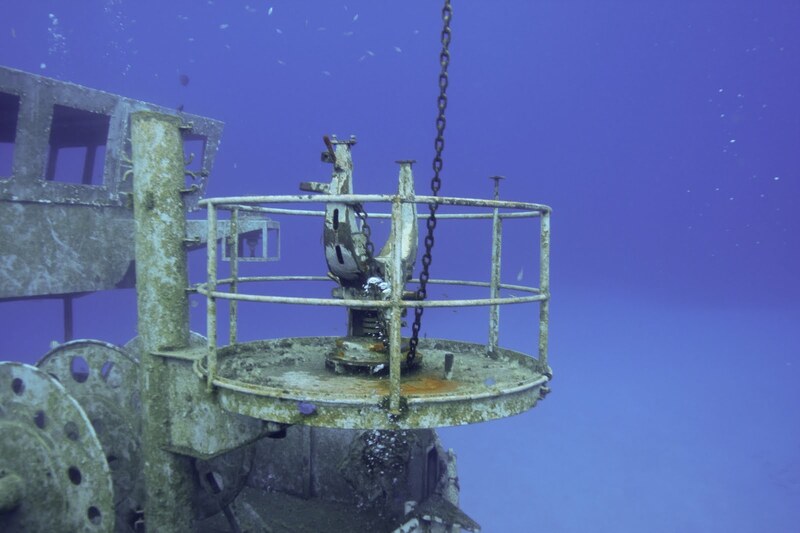 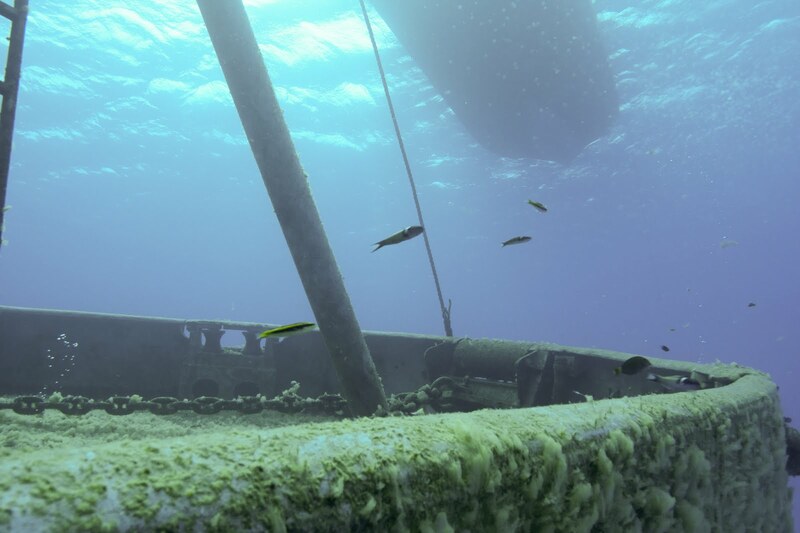 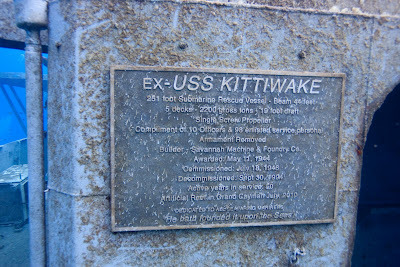 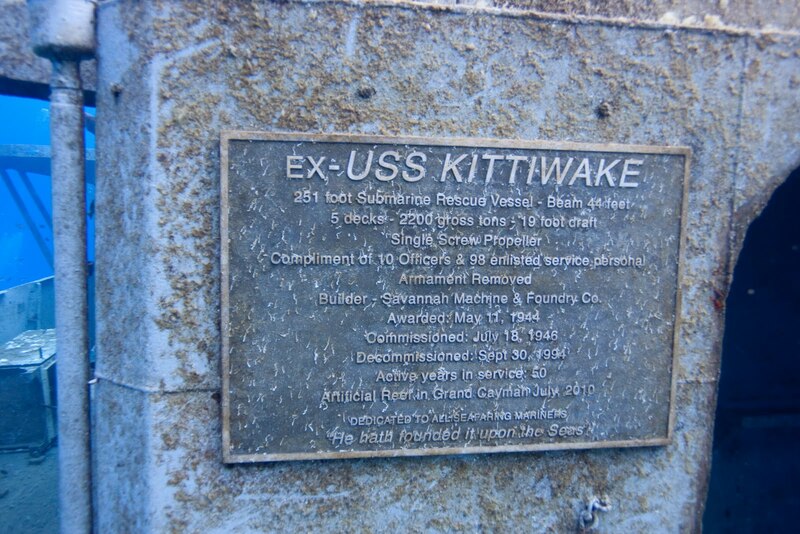 A former submarine rescue vessel, the USS Kittiwake was scuttled in just January of this year, making it the newest wreck around the islands. It had a surprising amount of sea life for only being underwater for six months, and was already covered in neat bubble algae. 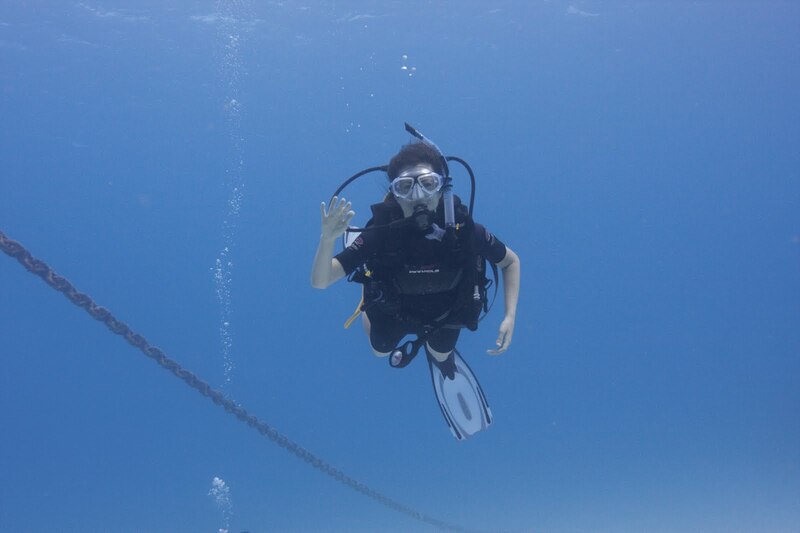 As soon as I hit the water and started descending, I got that fantastic euphoric rush of everything that is diving. 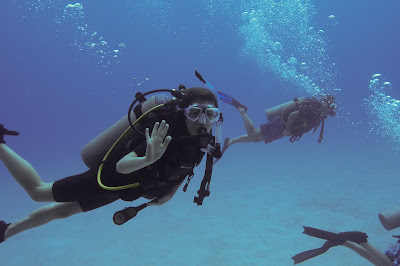 It's an amazing, amazing experience. 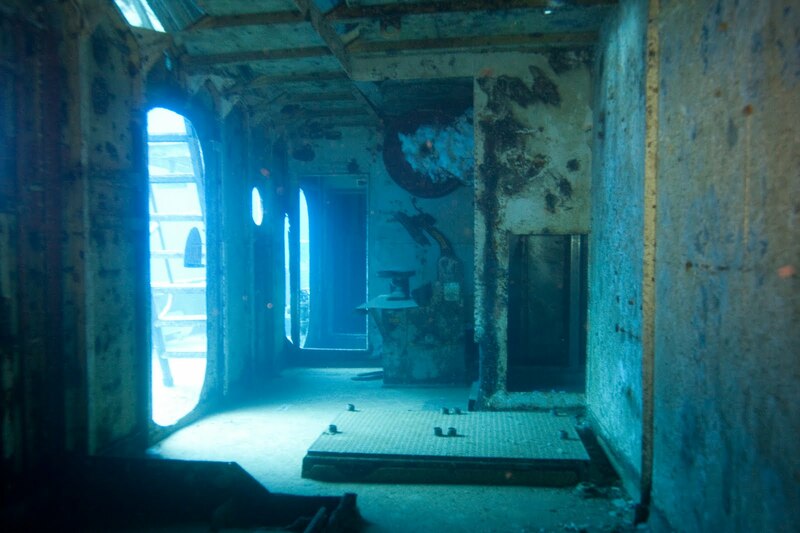 I tried later to describe it as going to an aquarium squared (and I love aquariums), but really it's like going to an aquarium times infinity. 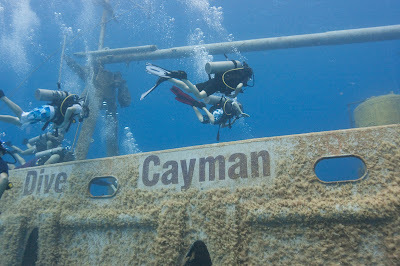 And I had no reason to be nervous about the overhead environments - the second I saw our first one, I knew that I couldn't wait to go in! 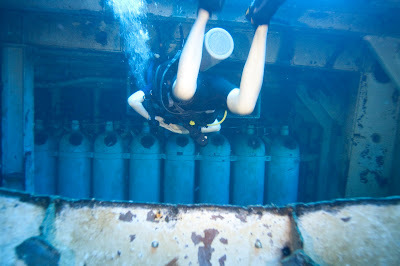 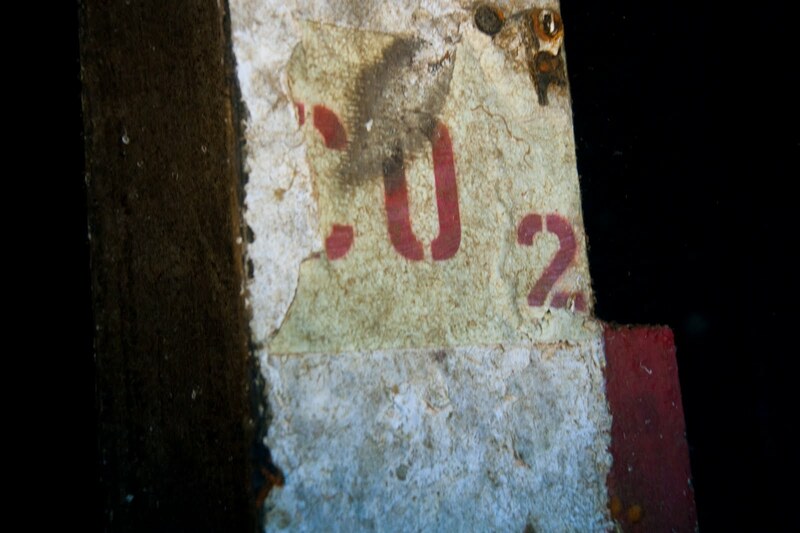 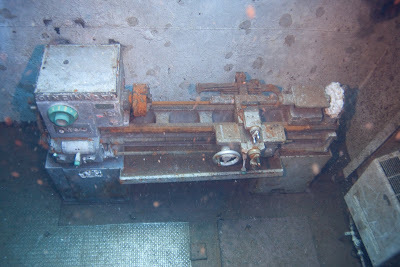 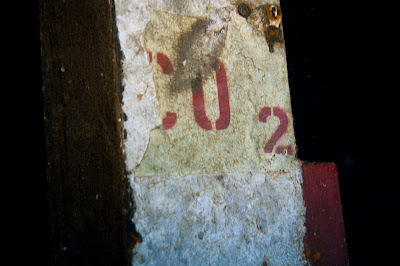 We wove in and out of the ship, going down to a depth of 55 feet over our 49 minute dive. Yay for my first wreck dive!